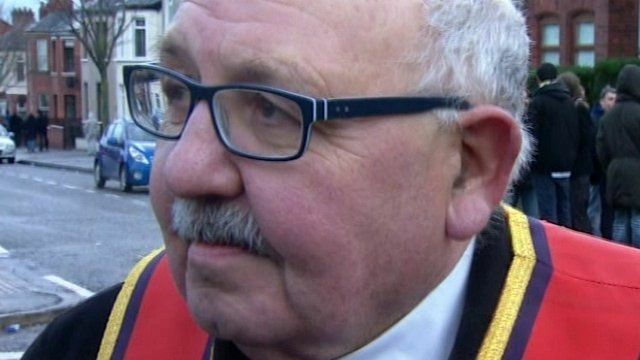 A senior Orangeman has warned Protestants against learning the Irish language. Belfast County Grand Master George Chittick made the call at a loyalist protest in north Belfast. The BBC's Mark Simpson asked him about his remarks.